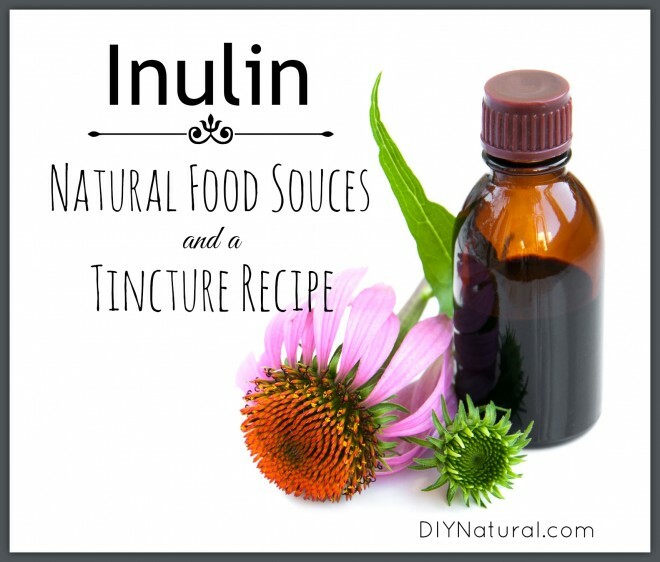 I was a child when I first heard of inulin. We grew a lot of our own foods and when we purchased store bought foods, my Mom always tried to find things that were close to natural. One of those was a coffee that contained chicory. It was strong and dark, but very good tasting. I read that it contained inulin and researched it to find out just what it was. Inulin is a naturally occurring polysaccharide. It converts to fructose in the stomach in the presence of hydrochloric acid. Fructose then forms glycogen in the liver without requiring insulin. The result is a slower rise in blood sugar, often referred to as having a lower glycemic index. This makes inulin rich foods a good choice for diabetics and hypoglycemics. Sometimes medicalese can be hard to follow, so basically it means that the blood sugar wont go up quickly as it does with sucrose-type foods, or sugar-based, like doughnuts and soda. Eating or drinking these things can result in a sharp spike in blood sugar, and if there is no protein to hold it steady, it can fall rapidly, or crash. Keeping the blood sugar even is good not only for diabetics, but for those trying to lose weight as well. This is by no means an exhaustive list, there are many more. Some are available as teas or coffee substitutes, such as coneflower and chicory, and even roasted dandelion root. Some are available raw in health food stores such as agave leaves and Jerusalem Artichokes. And some can be found in the wild such as burdock root and wild yam. However you get them, be sure they are not from an area where pesticides and herbicides may be used. Pick dandelions and chicory from a field, not the roadside. For some, foods high in inulin can produce gas and bloating, especially when cooked. 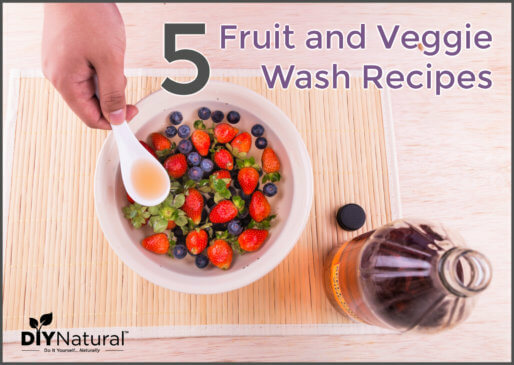 Use these items sparingly if cooking them or use them raw. I love sunchokes (another term for Jerusalem Artichoke) washed and cut into pieces served raw with other vegetables and dill dip. Or slice them and toss them in salads. Jicama can be treated the same way. Or they can be sliced and then topped with squeezed lime juice and a mixture of salt, cayenne pepper and dehydrated lime juice. This is great over fruit, too. Coneflower and burdock can be made into tinctures and taken daily for improved digestion. Place about a cup of chopped root into a quart jar and cover it with alcohol. You can use anything with over 40% alcohol, so I use vodka. It has no color, taste or smell, so it will take on the flavor of whatever I’m doing. Cover and shake well. Leave this mixture in the sun for a few weeks, or until the mixture turns a darker color. When it’s ready, strain out the plant matter and compost it. The resulting liquid is your tincture. 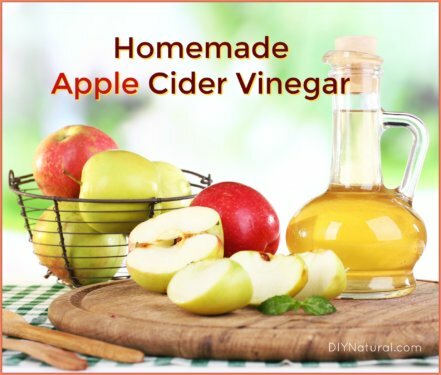 Transfer this to a glass amber bottle with a dropper. Label well and store in a dark, cool place. This tincture is good for a few years. Take 5-6 drops a day. I just place them on my tongue and swallow, but if it’s really bitter I’ll put a little coffee in a cup, add the tincture and drink it quickly. Recently the food industry has been catching up with inulin. I’ve seen the coffee substitutes made from chicory and dandelion root, teas and tincture made from all kinds of inulin-containing herbs and today I saw a box of pasta that said “made with Jerusalem Artichoke flour.” What will they think of next? Inulin-rich foods can be grown quite easily. Sunchokes are native to the Appalachian Mountains, but will grow just about anywhere. I remember them growing in the yard we had in Vadnais Heights, Minnesota, which was in zone 4. I am in zone 6b/7a right now and I know they’ll grow farther south into South Carolina and Georgia. They can be invasive, so give them plenty of room to run. Last spring I got over 20 pounds of sunchokes from 3 plants. I dug them up and took them with me and now I’m planting them all over my 6 acres. I seem to have a lot of them! Sunchokes aren’t the only thing you can grow. Burdock is a nasty weed, producing burr seed pods with hooked spines on them. To solve this problem, and put more energy into the root, cut off the purple flower heads when they are done blooming. Harvest the root in the fall. Chicory is a pale blue flower that grows on the side of the road. Dig some up (with the land owner’s permission) and place them in full sun in your garden. Harvest these roots in the fall too. And any gardener knows you can grow onions, garlic and leeks easily in the garden. Harvest them anytime. We are not doctors, so be sure to check with your health care practitioner before using any foods to fight disease. Most doctors are aware of the risks and benefits of herbal medicine, but you may need to consult an herbalist for advice, especially if you are pregnant or nursing. While inulin is listed as GRAS (Generally Regarded As Safe), not all plants react the same with all bodies, and some people may experience undesirable reactions when consuming inulin. And in the case of inulin, it would be a good idea to go slow and increase consumption as you go along, the same as with any new foods. Have you tried inulin to control blood sugar? What do you think of inulin rich foods that you’ve tasted? So what are the benefits of the tincture? Would the small amount of alcohol you do consume not be enough to affect the body? Hi Ashley! The tincture is designed to help regulate blood sugar. As always, talk to you doctor before using anything new. I had the same concern about using small amounts of any herb. Would they really do any good? I recently had a chance to talk to a premier herbalist and also one of the top 10 surgeons in the US. Both of them told me that even minute amounts of herbal material can help. Remember vitamins are small, but can contain many elements that can help your body. So yes, even that small amount can do some good. 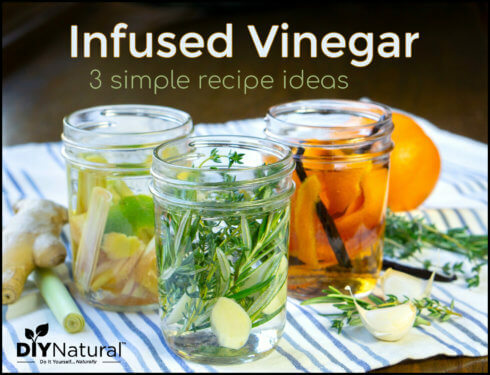 I love all your recipes to make household cleaners and personal products and even pickles. But I think you have to be careful when you get into medicinal nutritional / herbal advice. You are not Dr Mercola. Leave that advice for trained experts. This is regarding your Inulin article. You have agave on a “good” list”. There are health-affecting applications for herbs, teas and plants besides as fragrance for soaps etc. But your household DIY projects are great. Thanks for the advice Rosemarie. I did mention at the end that we are not doctors and to seek the advice of a health care practitioner before trying anything new. I am simply providing an alternative to traditional methods. I thought I was writing to Matt and Betsy. It’s true that you gave a disclaimer at the bottom of the article. And I do appreciate alternative herbal treatments. I wish I knew more of them. They helped me get better from Lyme disease… and I have used an herbal salve of Mugwort and Yellow Dock, made by a family member that’s amazing for bee stings. I have also used homeopathy for years. When I mentioned Dr Mercola, ( http://www.mercola.com) it was to say that he focuses on ALL aspects of alternative treatments he writes about, in so far as they affect each other and the body. While it may be a good thing if agave is high in inulin, one cannot disregard that it is as much as 90% fructose…therefore since fructose is way worse than sugar, how can this particular food “high in inulin” be ” a good choice for diabetics and hypoglycemics”, as you said? Or, a high sugar banana for that matter? I am neither diabetic nor hypoglycemic and would not ingest agave. How can it be put on any “good” list if it’s not good for health at all, just like soy? That’s what I mean by not looking at only one aspect but the overall picture ( which Dr Mercola does). I am not as knowledgeable as you are at herbs. Likewise, maybe you are not as knowledgeable as I am in homeopathy. Each alternative therapy addresses different elements. Neither is useful without thorough understanding of the biochemical reactions it will cause in the body. If I were to put something on a recommended list for health, I should be sure that it is not an unhealthy item. That’s the same as saying that it’s ok for someone to use Karo syrup on their pancakes every day, when it is 100% high fructose corn syrup. ( wind Flower), a doctor won’t know what that’s about at all. It’s up to those of us who share alternative treatment recommendations with people to do our homework. So, agave might have lots of inulin but is disqualified… because of the high fructose. Just as black licorice is an great expectorant…in excess it cause rapid heart beat. I didn’t start using pure Stevia extract without researching that it’s other properties were safe. Not trying to give you a hard time. Recommending salves for bug bites is one thing, but ingesting something to affect your blood pressure or blood sugar is another. We must know and provide all the aspects of their use, good and adverse. Doctors can’t help guide anyone in this. They don’t know. I will continue reading your comments since I would love to get better informed about recognizing herbs and plants and their uses. I always do thorough research before using something and don’t take anyone’s word. But some people won’t. That’s why we have to be careful what we say.